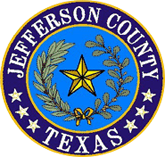 The purpose of the Jefferson County, Texas LEPC is to inform the public by providing adequate awareness information for chemical emergencies and other hazardous situations. To enhance the protection of the community and the environment from hazardous materials incidents through planning, preparation, and communication between citizens, business, and government. A Local Emergency Planning Committee or LEPC, is a voluntary organization that is established in an Emergency Planning District designated by the State Emergency Response Commission (SERC). Most Texas counties have a single LEPC; however, some counties have multiple LEPCs that serve individual cities or communities in that county. Both SERC and LEPCs were established to meet the requirements of the federal Emergency Planning and Community Right-to-Know Act (or EPCRA, also known as the Superfund Amendments and Reauthorization Act (SARA), Title III) for emergency response planning. LEPCs are required to receive the annual Texas Tier Two (Chemical Inventory) Reports from facilities in their jurisdictions. The LEPCs use this information to perform hazard assessments for their communities. In addition, the LEPCs must make information from these reports available to the public, upon request. Under EPCRA and the Texas Community Right-to-Know Act, LEPCs may also request additional hazardous chemical information from facilities for emergency planning purposes. A Guidebook for First Responders During the Initial Phase of a Dangerous Goods/Hazardous Materials Transportation Incident (ERG) is used by emergency response personnel (such as firefighters, and police officers) in Canada, Mexico, and the United States when responding to a transportation emergency involving hazardous materials. First responders in Argentina, Brazil, and Colombia have recently began using the ERG as well. It is produced by the Department of Transportation, Transport Canada, and the Secretariat of Communications and Transportation (Mexico). The ERG is primarily applicable for hazardous materials transported by highway and railway, but also is applicable for materials transported by air or waterway, as well as by pipeline. It was first issued by the US Department of Transportation in 1973, but later became a joint publication of the Department of Transportation (US DOT), Transport Canada (TC), and the Secretariat of Communications and Transportation (SCT) of Mexico, with collaboration with the Chemistry Information Center for Emergencies (CIQUIME) of Argentina. The ERG is issued every 4 years, with editions now being published in Spanish (Guía de Respuesta en Caso de Emergencia). In 1996 it was published as the North American Emergency Response Guidebook, but by the next publication in 2000 “North American” was removed due to its use by several South American countries). The ERG “is primarily a guide to aid first responders in quickly identifying the specific or generic hazards of the material(s) involved in the incident, and protecting themselves and the general public during the initial response phase of the incident” and should only be used for the “initial response phase” (about the first thirty minutes) of an incident . It is divided into six color-coded sections (white [uncolored], yellow, blue, orange, green, and a second white [uncolored]). The ERG includes over 170 “Guides” (found in the Orange Section) that identify the primary hazards associated with the applicable general category of hazardous material and general guidance on how to respond to incidents involving that general category of hazardous material. The primary purpose of ERG is to direct the emergency responders to the most appropriate of these guides, based on the incident. 9-1-1 is an emergency telephone number that provides IMMEDIATE and direct access to FIRE, POLICE, and EMERGENCY MEDICAL SERVICES (EMS). To help save a life, to report a fire, to report a crime IN PROGRESS. How long should you remain on the line after 9-1-1 answers? When the 9-1-1 dispatcher answers your call you should stay on the line to give valuable information. You may be asked to describe the situation (i.e. what you see, what you hear, and/or what you smell). If it is a medical problem, you may be asked to describe the patient’s condition and assist with life saving steps until emergency services arrive. DON’T HANG UP! You will be directed to do so if the dispatcher feels you are in danger. IF YOU HANG UP YOU MAY BE BREAKING YOUR ONLY LINK WITH THE HELP YOU NEED. IS IT POSSIBLE TO GET HELP FROM A 9-1-1 IF A CALLER IS UNABLE TO SPEAK ENGLISH OR UNABLE TO SPEAK AT ALL? YES. 9-1-1 has a feature that displays the address and telephone number of where the call is coming from. What if you are calling from a pay phone? To call 9-1-1 you need only dial the number 9-1-1. 9-1-1 calls from pay phones are FREE. If you are calling from a pay phone and the emergency is at another location, be sure to advise the 9-1-1 dispatcher. 9-1-1 is for true emergencies. Using 9-1-1 for non-emergency calls ties up the system and reduces response time. Close and lock all doors and windows to the outside. The tighter the seal from the possible danger outside, the better. Building superintendents should confirm all ventilation systems to 100% recirculation so that no outside air is drawn into the structure. When this is not possible, ventilation systems should be turned off. Turn off all heating systems. Turn off all air-conditioners and switch inlets to the “closed” position. Seal any gaps around window type air-conditioners with tape and plastic sheeting, wax paper, or aluminum wrap/foil. Turn off all exhaust fans in kitchens, bathrooms, and other spaces. Close as many internal doors as possible in your home or other building. Select a room in the building where occupants will be the most comfortable and which is easy to seal off. This room should, if possible, provide access to water, toilet facilities, and adequate room for people to sit or lie down. The room should also have a battery powered radio, snack foods, and bottled water. Use tape and plastic food wrapping such as Saran Wrap, Handi Wrap etc., or aluminum wrap/foil to cover and seal exhaust fan grilles, range vents, dryer vents, and other openings to the outside to the extent possible. Obvious gaps around external windows and doors should also be sealed. If the gas or vapor hazard is soluble or even partially soluble in water, hold a wet cloth or handkerchief over your nose and mouth if the gases start to bother you. For a higher degree of protection, go into the bathroom, close the door, and turn on the shower in a strong spray to “wash” the air. Seal any openings to the outside of the bathroom as best as you can. Don’t worry about running out of air to breathe. That is highly unlikely in normal homes and buildings. If an explosion is possible outdoors, close all drapes, curtains, and shades over windows and stay away from external windows to prevent potential injury from flying glass. Minimize the use of elevators in buildings. These tend to “pump” outdoor air in and out of a building as they travel up and down. Tune into the Emergency Alert System Stations “KLVI 560AM” and “KQXY 94.1FM” on your battery operated radio for further information and guidance. STAN is short for Southeast Texas Alerting Network. STAN notifies, alerts, informs and educates the public about current situations or emergencies in Southeast Texas. It is a call-in, ring-down system that allows public officials and industry to make important information available to Southeast Texas residents. In the case of an emergency, messages can be posted on the STAN line by public and industry officials and sent automatically to local television stations. The media, in turn, help notify the public by scrolling messages across the bottom of television programming. The public can call-in to STAN to hear information and updates posted by industry regarding plant operations. If an emergency warrants activation, STAN’s ring-down system will call home phone numbers in the area to alert residents. To register your cell phone to receive STAN notifications, go to www.thestan.com. Public officials and industrial companies in Southeast Texas place messages on STAN. For emergency and high profile events, messages are posted on STAN and then sent automatically to the media. The media, in turn, helps notify the public. The public can also call STAN directly to hear informational messages. During a five (5) minute period, STAN can accommodate calls from 2,000 people. How can I use STAN? At any time, you can call 1-877-843-7826 toll-free and hear important messages from industry or local emergency response officials. When Should I Call STAN? You want more information about other extraordinary weather events, large traffic accidents, railcar derailments or truck spills. In some emergency situations, STAN may contact you through its ring-down capability, which allows officials to selectively contact residents living near affected areas. What Will I Hear If I Call STAN? By calling STAN, you may choose to hear general messages about industrial activity in Hardin, Jefferson or Orange Counties. In the case of an emergency, emergency messages will play first, followed by urgent messages. During some emergency situations, STAN may advise you to Shelter-In-Place. Go inside a building or vehicle. Turn off all heating, cooling and ventilation systems. Stay off the telephone and listen to your television or radio for more information. Do I have to pay for STAN? No. The STAN telephone number is toll-free. STAN is sponsored by the Industry of Southeast Texas (ISET) in partnership with local media and the Local Emergency Planning Committees of Hardin, Jefferson and Orange Counties. In an emergency, Jefferson County has the ability to alert its residents by the use of the Emergency Alerting System (EAS). Radio stations’ KLVI 560 AM and KQXY 94.1 FM are the local official Emergency Alerting System (EAS) radio station for Jefferson County. In an emergency situation, programming is interrupted and in information is automatically broadcast to listeners. A cable television Emergency Alerting System is provided to Jefferson County residents by Time Warner Cable via all cable television channels. In an emergency situation, programming is automatically interrupted to provide verbal and visual emergency information to viewers. The Emergency Alerting system also broadcasts the “Save Our Kids” (Amber Alert) Alert Systems which will help recover children quicker and curb abductions. When local law enforcement determines a child is missing they activate the “Save Our Kids” (Amber Alert) alert which gives details about the missing child, a description of the child , and or any person(s) or vehicles, which may have been involved. This program has greatly enhanced the health and safety of our area’s children. The Jefferson County Emergency Alerting System (EAS) is tested weekly.